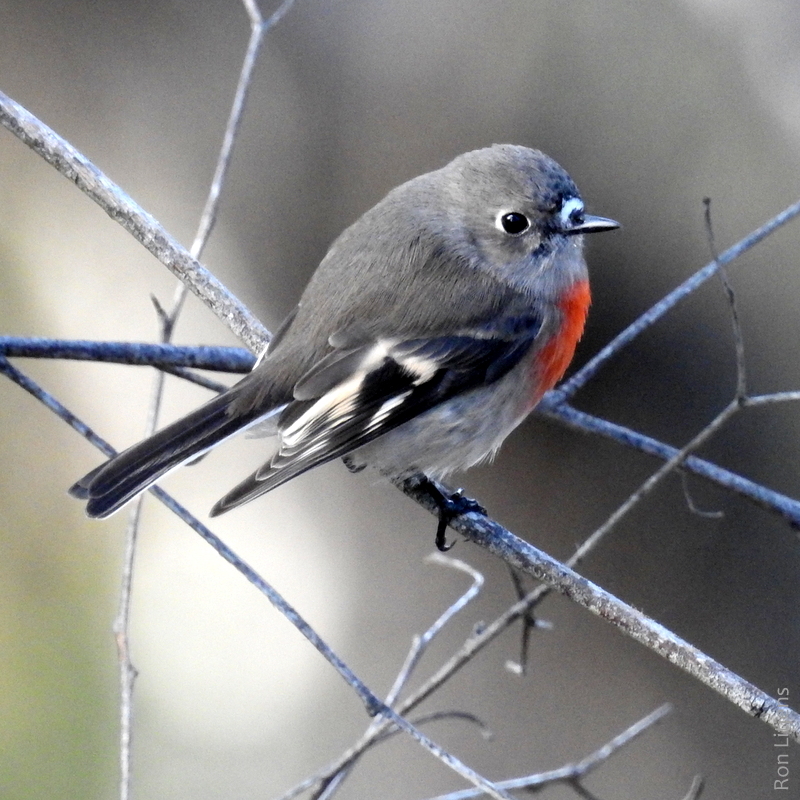 During a recent bicycle ride down the Epic Trail on Mt Buller I shared my lunch stop with a flock of Flame Robins (Petroica phoenicea). The photo (left) certainly does not do justice to how striking the male plumage is, particularly against a dull and rainy day in the high country. 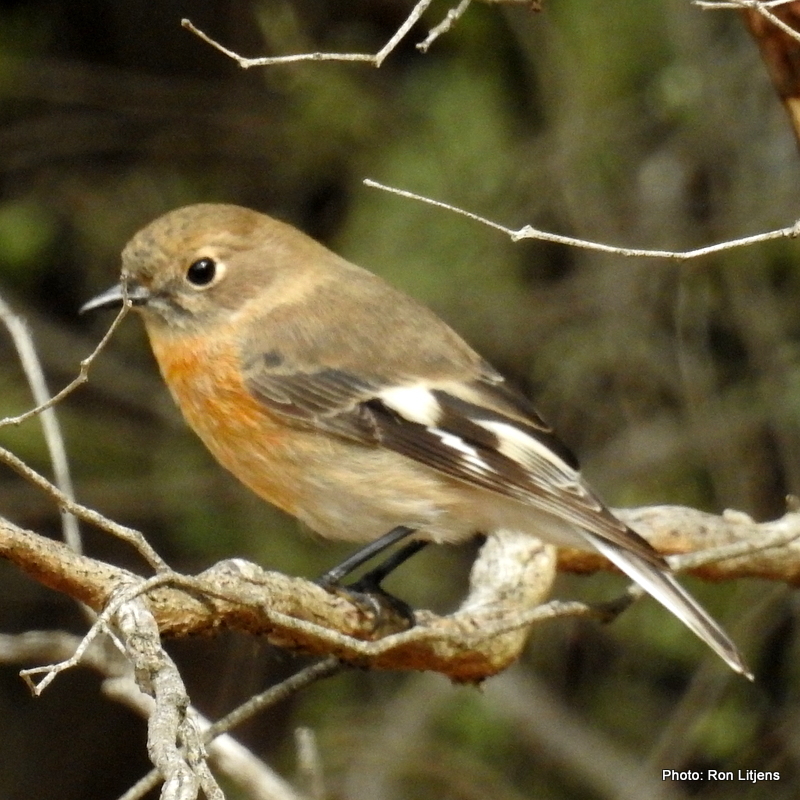 As far as I knew, this was the first time I had ever observed a Flame Robin. Recently I found myself in the middle of ‘the tribe’ – a mixed flock of small birds that forage together across our property. It contained treecreepers, thornbills, scrub-wrens, fairy-wrens and robins (usually Scarlet Robins and Eastern Yellow Robins). In fact the male Scarlet Robin was easy to spot flitting through the undergrowth. 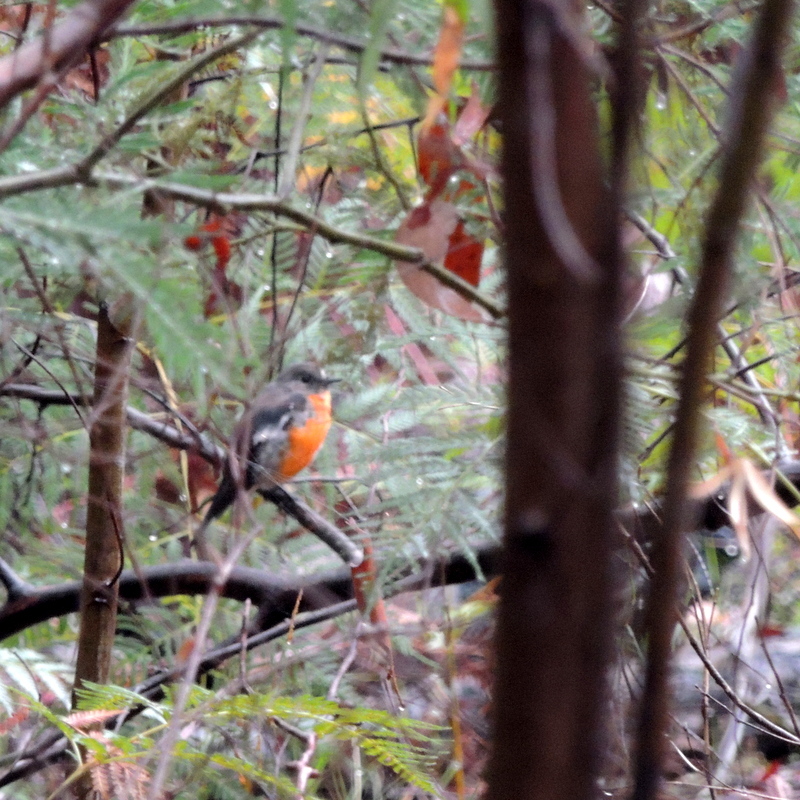 When I later examined my photos on the computer, what I assumed to be a female Scarlet Robin, was in fact a juvenile male Flame Robin, pictured right. Surprising, because I had never seen Flame Robins before on our hill (or so I thought) and also because the adult male bird was nowhere to be seen in the wandering flock. To my untrained eye the difference between the Flame Robin (right) and female Scarlet Robin (Petroica boodang), pictured below, certainly at a distance and in the bush, is slight. But when you see them together the obvious give-away is the white nose spot on the Scarlet Robin. So I may have observed a Flame Robin before but not noticed. It’s another tick on my list of bird sightings up on the hill.